There’s a very interesting gadget I saw the other day when visiting the smoke shop in San Antonio. It looked like a regular cigarette lighter. However, upon closer inspection, the cigarette lighter was actually a small handheld taser disguised as a cigarette lighter. The object itself was very well built. It was made of a solid metal that had a unique pattern around it. I am not sure the strength of the handheld device, however it claimed to be able to take down a 200lb man within seconds if applied. The unit has to be applied on contact of the attacker. It doesn’t have the string leads that shoot out of most commercial tasers. Instead, it had two small metal prongs that when an attacker came in contact with, would partially immobilize them enough for the victim to get away. The cost on this non lethal gun was around $45. Pretty inexpensive for such a handy weapon. The other plus is you don’t need a permit to carry the weapon. I could see buying one of these as a gift for my wife or my sister. 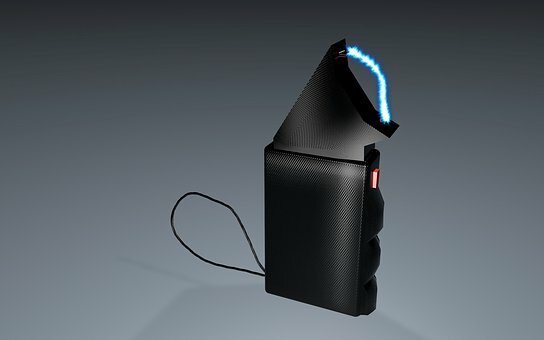 I can see a device like this come in handy when on a daily jog or if you’re simply walking to the mailbox down the street at night and needed a bit of protection. Non lethal weapons in my opinion are and should be carried more so than actual guns. People with guns have a tendency to hurt being a paralyzing experience. Most people want to completely take down their attackers permanently. With non lethal weapons such as tasers, you can take them down just as effectively without killing the attacker. Overall, I think these handheld lighter tasers are worth its weight in gold. Women who prefer not to carry a gun or pepper spray for example can always conceal one of these non lethal taser handhelds.